I've come to the realization that I can't fend off winter any longer. It's gonna happen with or without me, so I might as well at least prepare a little for it. And would you believe that both of these hats come from one awesome designer? Her shop's name is BriAbby and I love every. single. pattern. Here is the link to her Etsy Shop. 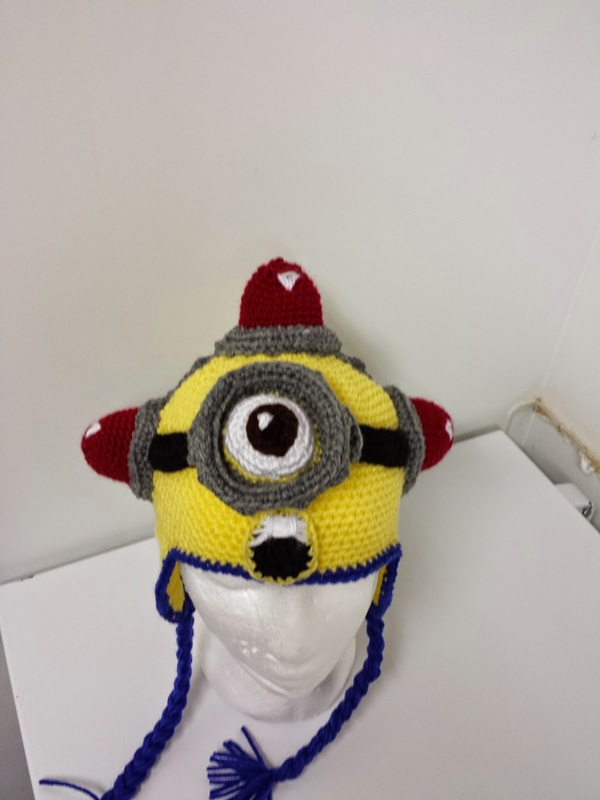 Here is the link to her Ravelry Shop. And of course here is a link to her website. I can not say enough nice things about these patterns. The pattern was for a generic unicorn pony (well... it sorta resembles Twilight Sparkle *wink wink*). I just changed the colours and made one sorta resembling Rainbow Dash instead. 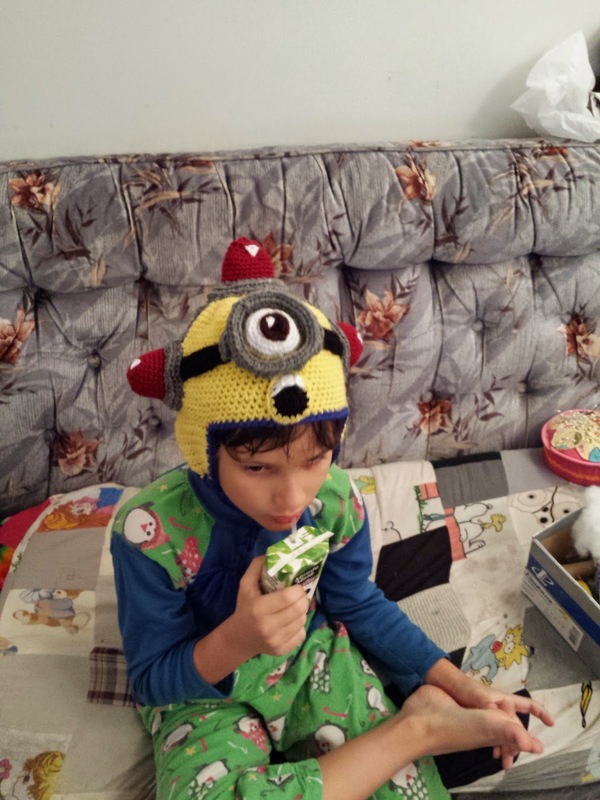 The instructions were super easy to follow and the sizing and tips and tricks were bang on. I think I might have gotten a little carried away with the hair. I love it so much. Lane wears it and it tips over to the side a bit unless she arranges the hair down both sides. Ooops. I think an easy fix would be to anchor the hair with thread myself so that it doesn't move as much. But when she ties it on, it's perfectly fine. Lane has gotten about a billion compliments on her Rainbow Dash hat so far. 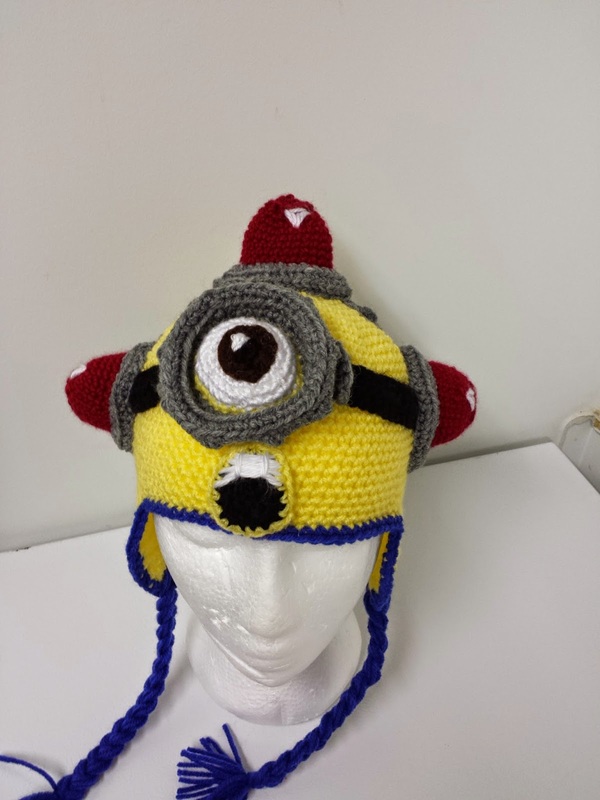 You should totally crochet one. 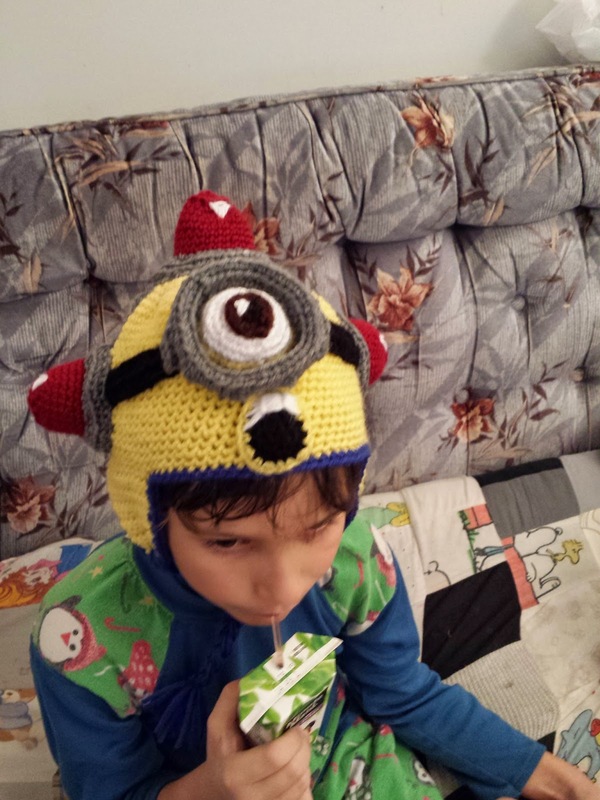 Same with the minion siren hat - the pattern was easy to follow with lots of clear instructions. Very easy to figure out and put together. It's the little details that I especially love about this pattern. The twinkle in the eye, the 3D-ness of the eye and goggles and the little shines on the sirens is what makes this hat super special. The mouth was probably the most difficult to accomplish, only because I kept thinking it looked more like an eye than a mouth. Maybe it needs a tongue? I don't know. Anyway, I always have trouble with mouthes. When I made Dave and Stuart (the stuffed minions mouth) I had a heckuva time getting it right. 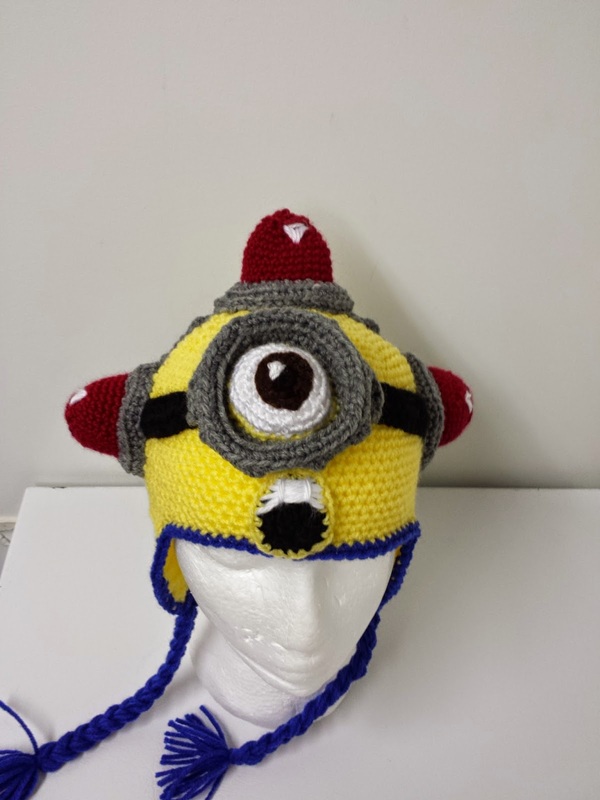 Here is the link to my Minion Siren hat project on Ravelry.